Abdurehman Musa, 13 was born in the Lange Distruct in the village of Effa Jalela in 1988. He is the youngest of a family of 7. Mondays and Thursdays are the market days in this village, people gather together from different places to sell fruit, vegetables, and animals. There is only one elementary school and a small medical clinic for over 10,000 people living in this village. When Abdurehman was 5, he began to work on his family's farm looking after the animals and serving as a messenger between home and their farm. His family's only income mainly depends on seasonal farming. At 6 years old Abdureham lost his mother, because of the lack of medical resources in the community she was unable to receive any type of medical care. Abdureham continued to work on the farm and take his mothers place selling their products at local markets. At 8, he began to attend the local elementary school but unfortunately he fell behind as he did not have time to study because of his work on the farm. The next year, he lost his father to a terminal illness.After his father's death, the family began to quarrel over the farm and ownership of the land. Abdurehman's older brother ran away to Dire Dawa and became a construction worker, after a month he called Abdureham to go to Dire Dawa. 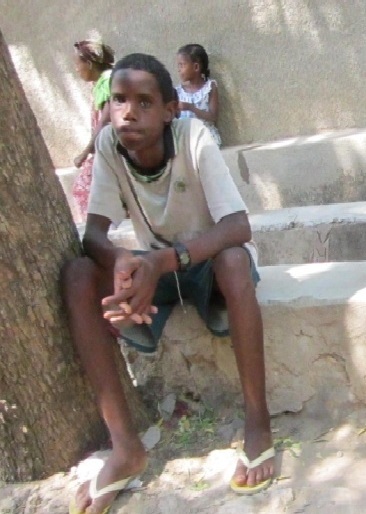 Abdureham decided to quit his education and go to Dire Dawa for the sake of survival. 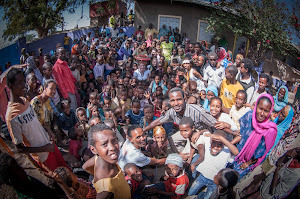 However, life in Dire Dawa was not as easy as Abdurehman expected. His older brother got married which resulted in conflict within the family because of economic problems. In addition to his problems to fulfill his basic needs, Abdurehman cannot continue his education due to lack of money to purchase educational materials.